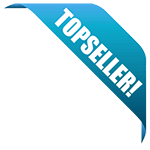 Our courses are approved by the state of Oregon to satisfy all of your continuing education requirements. Take the continuing education to renew your OR electricians license today. All of our courses can be completed At Your Pace Online to help you meet the state's requirements to maintain your license. Once you finish your class you will have an official certificate of completion to save for your records, and we will report your course completion to the state for you. In the state of Oregon, electricians must obtain 24, 16, 8, or 4 hours of Oregon electrician continuing education every three years. Depending on your license type (see chart below) you may need Oregon Rule and Law credits (ORL), Code Change credits (CC) and Code Related credits (CR). This package will meet Oregon Rule and Law (ORL), Code Change (CC) and Code Related (CR) requirements for General Supervising Electricians (S), Limited Supervising Electricians (PS) and General Journeyman Electricians (J). These courses will meet Code Change (CC) and Code Related (CR) requirements for LME and LEB license types. These courses has been approved by the State of Oregon and will cover the following subjects: 2017 NEC Review Chapters 4, 8, & 9, and 2017 Photovoltaic Systems. This code change package is designed to fully satisfy the continuing education requirements for Limited Energy Technician Class A (LEA) licensees. This package includes the following. Our course is approved with the Oregon Building Codes Division and designed to be taken At Your Pace! 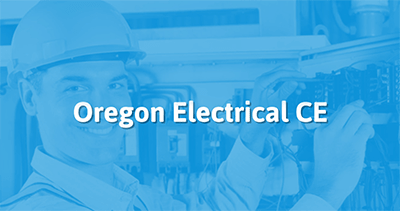 This course covers all the topics required by the Oregon Legislature for a four-hour continuing education class for electricians on Oregon Rule and Law changes related to the adoption of the 2017 Oregon Electrical Specialty Code (OESC), including: Review of permit processes and requirements, and Instruction on the scope of work allowed under a given license, and the Oregon amendments to the 2017 NEC incorporated into the 2017 OESC including alternate method rulings and interpretations. This is the most current Oregon Rule and Law course. This course is designed to help you meet your continuing education requirements by covering changes made to Chapters 4, 8, & 9 of the 2017 NEC. The course has been approved by the State of Oregon and will be reviewing code for the following two subjects: Equipment for General Use, and Communication Systems. This course is designed to help you meet your continuing education requirements by covering changes made to Chapter 5 of the 2017 NEC. The course has been approved by the State of Oregon and will be reviewing the following topic: Special Occupancies. This course is designed to help you meet your continuing education requirements by covering changes made to Chapters 1 & 2 of the 2017 NEC. The course has been approved by the State of Oregon and will be reviewing code for the following subjects: General & Definitions, and Wiring & Protection. The Electrical and Elevator Board, through the Building Codes Division, received your application for continuing education credit approval under Oregon Administrative Rules 918-035-0000 to 918-035-0080. On April 11, 2017 the board's continuing education sub-committee reviewed these applications and recommended approving these courses. The Electrical and Elevator Board, at the board's May 25, 2017 meeting, considered and concurred with their recommendation to approve these courses. If you have any questions related to the approved courses please contact Becky Rasca, Continuing Education Specialist, at 503-378-4867. If you have any questions regarding the board's actions, feel free to contact me.